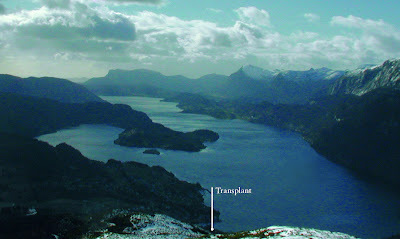 Transplant is a new place (“a platform”) located in Norway, in a fjord, I haven't been there yet but from what I've seen in the brochure you can download on the website, it just seems fantastic. I'm going to hold a workshop there in June 20. About trolls. I'm looking forward to it. yeah, I'm in Oslo right now, coming tomorow (yes, I did it I'm crazy) to help you capture all the trolls from Norway and bring them to bigger cities. I live and work in Paris as an illustrator and a graphic artist. This blog is the best place to publish the lattest news about my work through publications, shows, collaborations, web links, trips, pictures, thoughts. Enjoy.